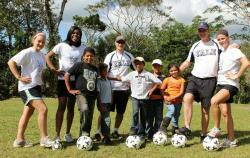 Join us as we inspire change and help a Central American community in need!!! This March, the Yale Alumni Service Corps, in partnership with the Yale School of Nursing, will connect a group of alumni, students, and friends of Yale with the community of Trohilo in León, Nicaragua. 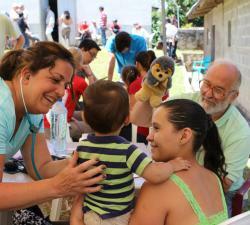 In this small marginal community, surrounded by sugar cane fields, our medical team will address acute care needs, conduct comprehensive visits for women and children, counsel for mental health & domestic violence, as well as promote health education. We also hope to make connections with children and leave lasting benefits by using our talents and energy to teach arts, computers, English, math and sports. Our construction team will work to build important amenities for the community including a library, school tables and goal posts as well as potentially renovating public buildings. No matter what your background or skill sets, if you have a passion for people and service, we have a need for you. The community of Trohilo is located about 45 minutes from the center of León. It consists of approximately 2300 residents. 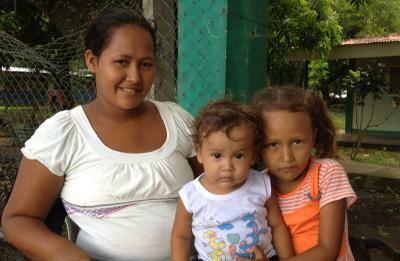 In this poverty-stricken community, as in most of Nicaragua, the majority of residents live on just $2 per day or less. Educational opportunities are severely limited and the schools lack basic supplies including books, chalk boards and enough chairs and tables for their 45 pre-school students. Trohilo does not have a high school and only half of the children are educated beyond 6th grade; those fortunate enough to attend secondary school usually attend a Saturday-only school in a different village just once per week. Many teenager girls are pregnant and/or married by the age of 15. Most residents, even those who have the privilege of graduating from high school, work in sugar cane fields, as gold miners, or in agricultural jobs and these jobs have their its own risks. Health issues are a concern in the community and kidney failure accounts for 80% of the deaths especially in men 35-45 years old. Asthma, diarrhea, and chronic skin conditions are also prevalent. The community currently has a health post with a nurse and a midwife who have aided in the prevention of maternal deaths, but much more medical care and education is needed to help this community. For the second year, Yale Alumni Service Corps has the honor of collaborating with the Yale School of Nursing (YSN). The YSN introduced YASC to Nicaragua, where they have been working for the last six years at “La Escuelita,” a school for children who live in the poorest and most dangerous section of Managua. 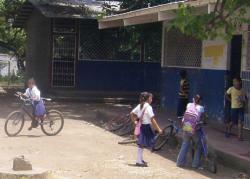 The school was started by Nicaraguans, primarily for children who cannot afford clothing and school supplies. 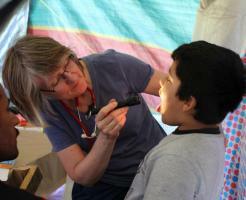 In March 2012, a group of YSN nurses joined the YASC program in the remote community of El Castillo to work with our medical group. 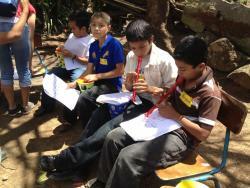 They assisted with clinical care, health assessments/recording and taught health education classes. 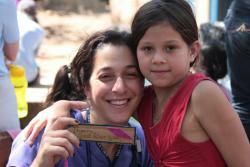 In 2013, a group of YSN nurses will continue their work at La Escuelita and another group of nurses will join the YASC team in Trohilo. 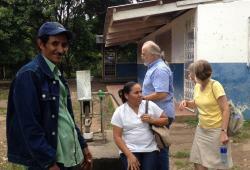 The ground partner for our program is the admirable CEPAD, Council of Protestant Churches of Nicaragua, an organization that has been in Nicaragua since 1972. CEPAD has set up offices in Managua and other cities from which they offer humanitarian assistance, training and education to the needy within these cities as well as in adjacent at-risk communities. They rotate their satellite bases every five years to encourage self sufficiency & sustainability for their social work. CEPAD will manage our ground activities including all hotels, transportation and meals, which they do for up to 35 groups annually. More importantly, they have established good relationships with the community leaders so they can effectively facilitate matching the community needs with the talents of our group. 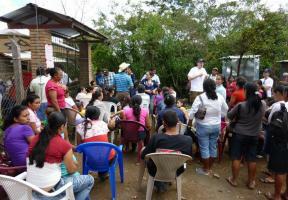 The residents of Trohilo are looking forward to working with us in March to improve lives. Join us and experience the reward of making genuine life-changing connections with the residents of Trohilo and fellow YASC volunteers while we serve this community in need. 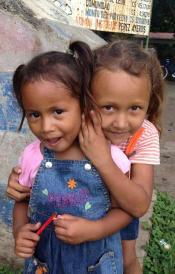 customized collaborative service projects in Nicaragua; accommodations (all rooms are double occupancy); most meals; translators (as needed); local transportation throughout the program; most tools and materials needed for service projects; bottled water at work sites; full itinerary of cultural highlights and opportunities for community interaction. 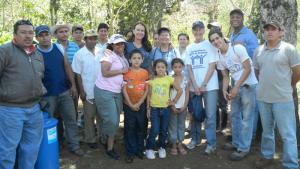 Cost also includes excursions in Nicaragua. Families are of course welcome and encouraged to attend, but we have an age restriction of 10 years old and above for this program. Saturday, February 23, 2013 - You are invited to join the other Yale Alumni Service Corps participants at Rose Alumni House, 232 York Street, New Haven (additional details regarding times and agenda will be provided) for an orientation session where you will learn about the community of El Trohilo, our program partners CEPAD and Yale School of Nursing, our projects and the plans for this year’s program. It is highly recommended that you attend this session, but it is not a requirement for participation in the program. If you are coming from out of town, suggested accommodations are the Study at Yale New Haven Hotel, New Haven Hotel, or Courtyard Marriott. We look forward to seeing you in New Haven on this date.